Full maintenance is available as an optional fixed monthly cost and includes all scheduled servicing as well as wear and tear items such as tyres, brakes, exhaust,battery and labour charges. If you included full maintenance in the contract you will receive a maintenance contact number from the finance company from which youcan book the vehicle into a local approved garage. Upon request you may also beable to request free vehicle collection and delivery. If your contract included an optional relief vehicle then this can be arranged by calling the maintenance number provided by the finance company. Without a relief vehicle option a hire car can be arranged at preferential rates through the finance company. Yes, all vehicles include either 12 months or 3 years breakdown recovery, depending on the manufacturer. If an optional full maintenance contract is taken, breakdown is usually included as part of the contract for the full term. 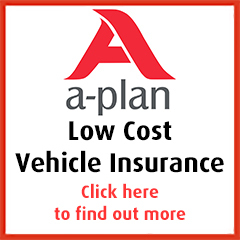 All vehicles include at least 12 months breakdown cover from the manufacturer although most manufacturers now offer 3 years cover fee of charge.Within the car or van book pack there will be an emergency number to contact day or night. We offer free UK mainland delivery to home or work. Collection depends on the type of contract taken. For contract hire or personal contract hire and contract purchase or personal contract purchase the finance company will collect the vehicle at the end of the contract unless you are purchasing the vehicle. This depends on the type of contract taken but usually you can either hand the car back, extend the contract or purchase the vehicle from the finance company (dependent upon the funder). While a minimum one payment upfront is available, typically an initial payment equivalent to 3 monthly payments is required. Larger initial payments usually can be given to reduce the monthly payment. Yes, either for the duration of the contract or 12 months. This will depend the type of contract taken. Business and Personal Contract Hire includes the RFL for the duration of the contract. The lease contract does not include insurance, you have toarrange your own fully comprehensive insurance on the vehicle. Click here to request a quote. At the end of the lease you can either arrange for the vehicle to be collected, extend the contract on a month by month basis or if you signup to the same vehicle for six or 12 months you may get a discounted rental. Contact us to request an early termination quotation.